Hand smocked in the centre of chest with blue highlight. Decorative blue thread on collar and blue emborideries. 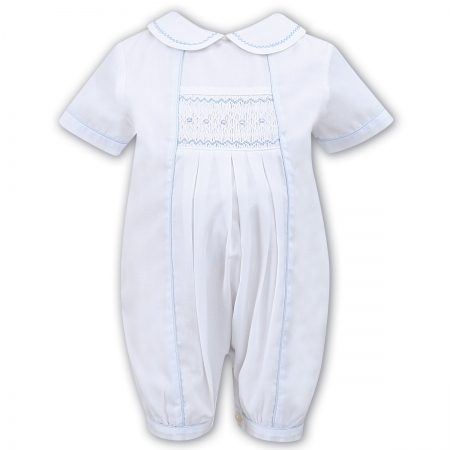 Blue trim lines extend from neck to ankle, round the sleeves and ankles. Buttons at the back and groin.